Kemp got to meet the world’s most famous meerkats when we collaborated on some set production for Compare the Market. 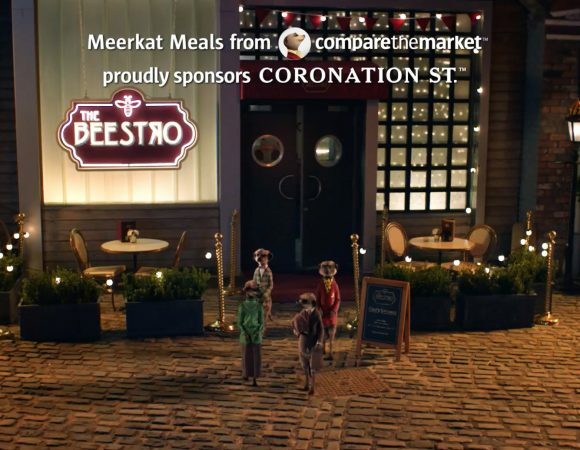 As sponsors of Coronation Street, the price comparison giants commissioned a bumper which was to be played in the advert breaks during the soap. 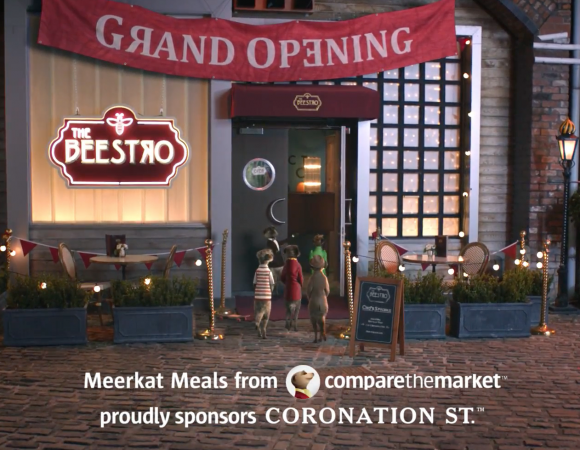 It features Aleksandr, Sergei and friends hurrying along the street and into a local restaurant, The Beestro, for its grand opening, all set to the theme tune of Coronation Street. 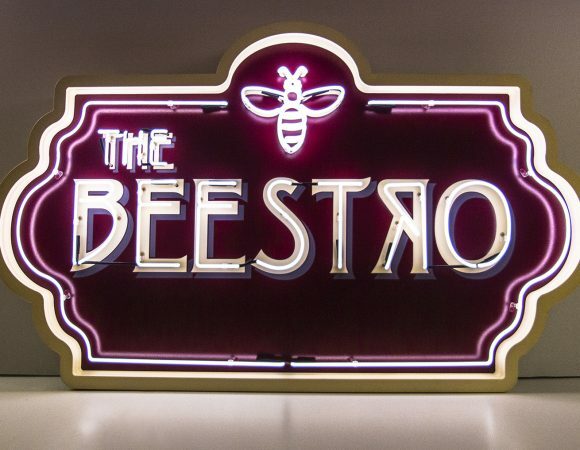 The venue’s neon sign, complete with bee embellishment and curved frame, is Kemp’s handiwork. Simples, but effective. Corrie brings in more than 6 million viewers a month. We’re more than a little chuffed to have our neon beamed into so many living rooms.